CUP OF CREATIVE | SPARKS. I bought the ukulele on a whim. I was casually talking about my lifelong dream of learning a new instrument so I could sing and play with the kids I teach and one thing led to another and now I own my own concert ukulele. It's funny, because I'm not normally this spontaneous. I don't buy things on a whim, especially things that cost money and require at least a little bit of dedication. But as soon as I spotted it in the window of a little local music store, I knew it was meant to be. The feel was perfect, the sound was fun but beautiful, and I felt so giddy when I held it. So what sparked this interest? I would have to say it was my previous musical experiences playing the viola. I've always loved playing music and have always wanted to play an instrument I could sing along with (which is hard to do if your chin is resting on said instrument!). 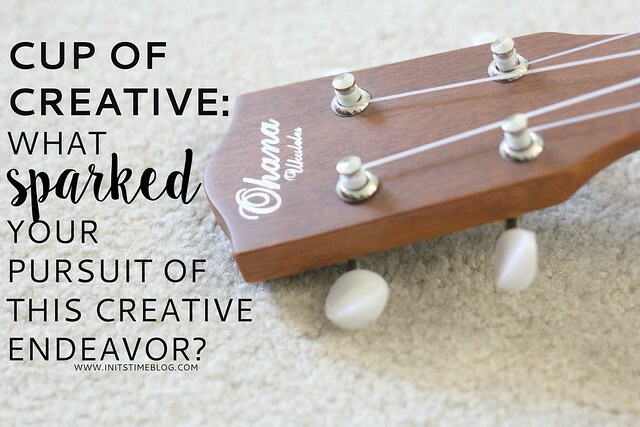 The ukulele always seemed like a whimsical, fun instrument and I loved the sound and size of it, too. That, and it goes along with some of my Hawaiian roots. So, a ukulele it is. And after a little convincing from my sister (who pretty much pushed me to the counter of the store with it in my hands), I am now the owner of a ukulele. My strumming technique is far from perfect, but I love being able to pick it up and learn songs and chords. I love that it lifts my mood, brings music back into my life, and is fairly easy to play, too. It's a new adventure, new challenge, and a lifelong dream I'm finally pursuing. 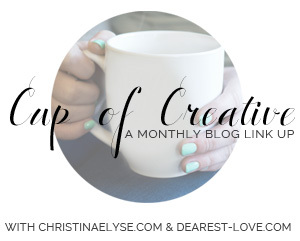 I'm linking up with Christina and Jenna for their first edition of Cup of Creative. This link-up is all about chasing and pursuing creative dreams and that is something I am allllll about. Big Bro saw a ukelele this weekend and said he wanted to learn how to play it! I love it! I can actually totally see you playing a ukelele, as weird as that may sound. You get major props for the spontaneity! What a fun thing to do! You have a great sister. 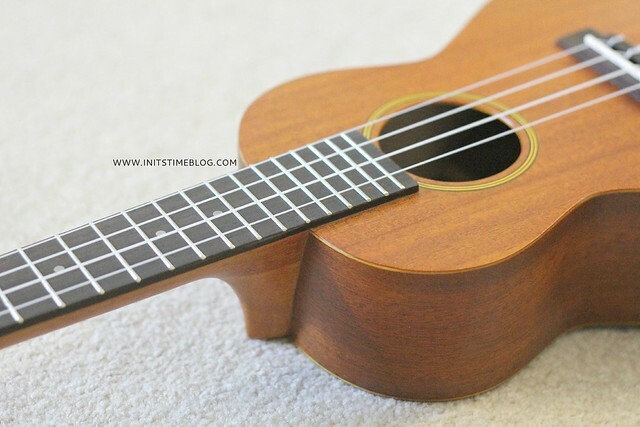 :) I love the sound of ukeleles. And you're right, it is so much fun to have something relaxing and enjoyable to do with free minutes here and there. Good for you for stepping out there! Enjoy it, Kiki! Thanks so much for sharing this, Kiki! Do you plan on doing more with it? Have you brought it to school to show your kids yet? I played violin all through elementary, middle, and high school - but music isn't my strength, but goodness it would be ridiculously hard to try and sing while playing an a viola or violin, haha :) I guess you could always take the fiddle approach where they're more or less resting it on their shoulder. We could be ukulele twins! Kids playing the ukulele is actually quite adorable--there are way too many kids on Youtube who are a billion times better and cuter than I am! You played violin? No way!! Do you still play/have a violin? :) I played viola from 4th grade through my senior year in high school and still pick it up and play it now and then. Let's just say spontaneity is something I'm STILL working on. But this definitely gave me a weird rush of giddiness, haha. It helped that my sister wanted/wants to play it, too. But I really do appreciate her nudge and I'm glad I got it! 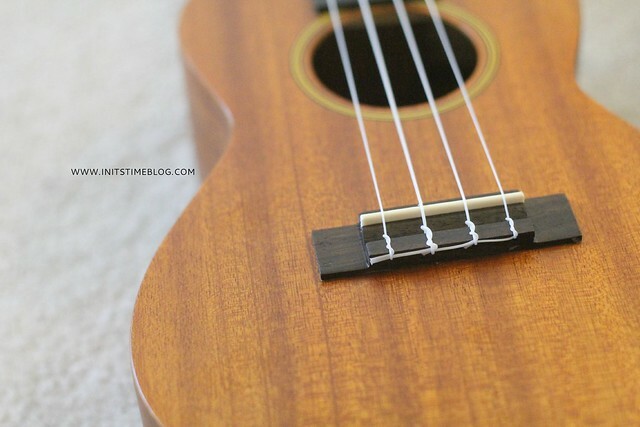 Ukuleles really do have a fun sound and I'm excited to have something to play around with now and then. Thank YOU for this link-up! :) I do plan on learning more and hopefully getting to a point where I can play more confidently. I'm still at a point where I'm not quite ready to bring it to school, but I hope that I'll get more time to play and practice this summer! And I forgot that you played violin! I'm glad you can relate to my inability to play viola and sing. I've tried it before and let's just say it was not good at all! Love love love this, Kiki! I absolutely adore your spontaneity. Learning a new instrument is challenging and exciting, and I really think this is going to be such a major blessing for you as well as your students. They are going to love hearing you play! I can just see you sitting around a campfire with friends, strummin' on the ukelele. How magical is that!? Thanks so much for sharing this, Kiki! You are truly an inspration! Play the piano too which I love a lot more. Looking into purchasing a full size keyboard as I always get the urge to play!! That spontaneity is something I'm learning I need to pull out more. It's funny, because the moment I bought it, I felt this excitement and giddiness that I haven't felt in a long time (pretty similar to the feeling I got when I did my first photo session, now that I think about it!). Anyway, all that aside, thank you for pushing me and encouraging me to be creative! i absolutely loved reading this....i had no idea you bought it on a whim!! get it girl!